Holden Pond is a 51-acre lake southeast of the town of Hawthorne. Outdoor facilities at Holden Pond include a small picnic area with a covered shelter near the boat lunch. Swimming in both lakes is allowed, but no designated swimming areas exist. 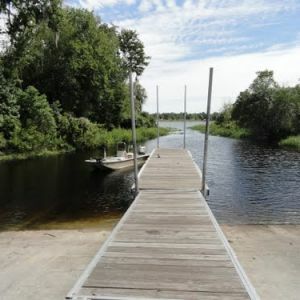 Dangle your feet in the clear water, daydream as you float on a raft, or get some exercise swimming the lake's lengths -- water recreation at Holden Pond promises hours of enjoyment.